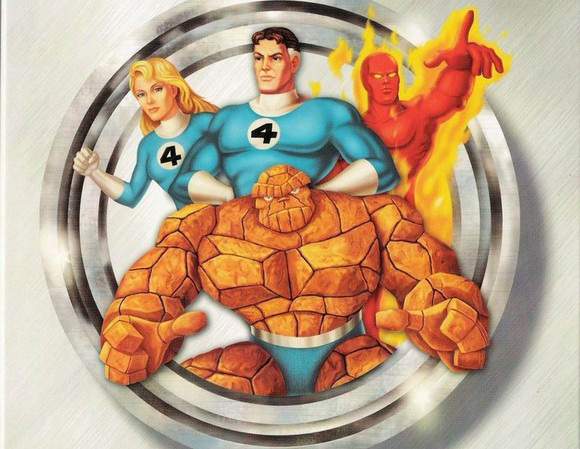 The Fantastic Four is formed when during an outer space test flight in an experimental rocket ship, the four protagonists are bombarded by a storm of cosmic rays. Upon crash landing back on Earth, the four astronauts find themselves transformed with bizarre new abilities. The four then decide to use their powers for good as superheroes. 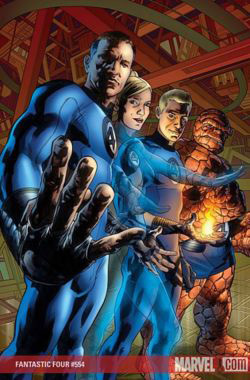 In a significant departure from preceding superhero conventions, the Fantastic Four make no effort to maintain secret identities as they maintain a high public profile, enjoying celebrity status for scientific and heroic contributions to society. At the same time they are often prone to arguing and even fighting with one another. 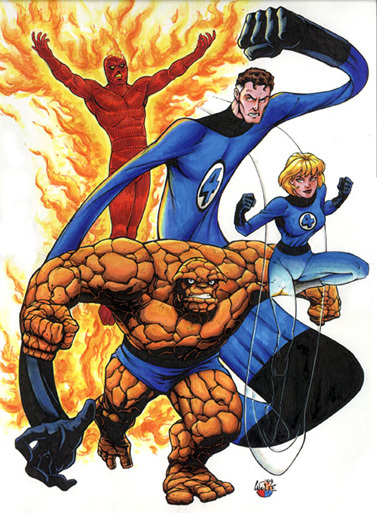 Despite their bickering, the Fantastic Four consistently prove themselves to be "a cohesive and formidable team in times of crisis. • Mister Fantastic (Reed Richards), a scientific genius, can stretch, twist and re-shape his body to inhuman proportions. Mr. Fantastic serves as the father figure of the group, and is "appropriately pragmatic, authoritative, and dull". Richards blames himself for the failed space mission, particularly because of how the event transformed pilot Ben Grimm. the ability to control fire, project burning bolts of flame from his body, and fly. The Human Torch was an update of the Golden Age character published by Marvel's predecessor Timely Comics, an android that could ignite itself. 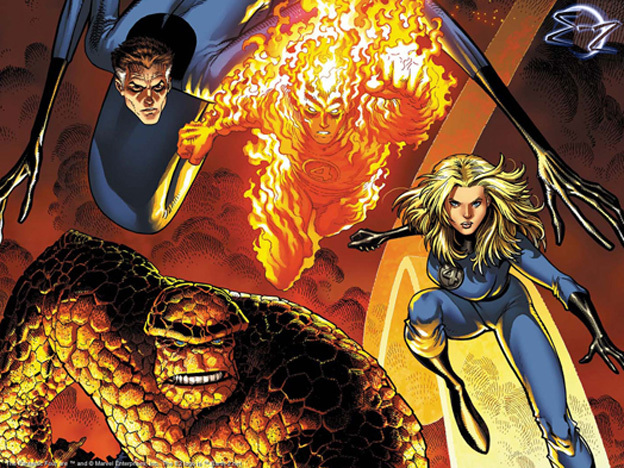 Lee said that when he conceptualized the character, "I thought it was a shame that we didn't have The Human Torch anymore, and this was a good chance to bring him back". Unlike the teen sidekicks that preceded him, the Human Torch in the early stories was "a typical adolescent?brash, rebellious, and affectionately obnoxious". • The Thing (Ben Grimm), Reed Richards' college roommate and best friend, has been transformed into a monstrous, craggy humanoid with orange, rock-like skin and super-strength. The Thing is often filled with anger, self-loathing and self-pity over his new existence. He serves as "an uncle figure, a longterm friend of the family with a gruff Brooklyn manner, short temper, and caustic sense of humor"] In the original synopsis Lee gave to Kirby, The Thing was intended as "the heavy", but over the years the character has become "the most lovable group member: honest, direct and free of pretension". In some most fantastic ways. Just call the four!? Fantastic Four! Johnny: Don't need no more! Sue can fad from site. The Thing just loves to fight. Call the four!? Fantastic Four!? Fantastic Four!